Shortly before Thanksgiving we hopped on a plane to start one of the longest journeys of our entire trip. 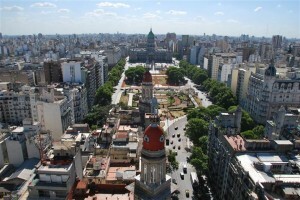 We first flew from New Delhi to Brussels, then onto New York, and finally to Buenos Aires. Our backpacks, on the other hand, decided that they weren’t quite up for such a long trip and instead chose to kick back and relax somewhere along the way. Much to our dismay they didn’t even have the courtesy to call with their whereabouts or how long they’d be gone. Leaving the airport with only the clothes on your back, the clothes that you’ve been wearing for two straight days and 13,000 miles, is not a happy feeling, let me tell you. Losing our luggage was an unfortunate way to start our visit to Argentina. Instead of enjoying the city we spent several depressing days making frequent calls to American Airlines and shopping for replacement clothes. We regretted checking our bags, and were really kicking ourselves for packing several months of irreplaceable souvenirs inside. Similar to when we ate the salad in Egypt, we’d grown complacent after countless trips on trains, planes, and automobiles. Most exasperating was the realization that airlines do not handle luggage like FedEx handles packages. American Airlines had absolutely zero capability to actually track our bags, and couldn’t tell us if the bags were aboard any of our flights or where they might have been delayed. Their system for locating the bags seemed to rely on airport employees simply stumbling upon them, then changing their status in the computer system from “lost” to “not lost”. The search for our luggage may have been hampered by the airline’s frustrating inability to correctly describe our bags. To protect their many dangling straps from the hungry jaws of automated luggage handling equipment we’d wrapped our backpacks in brown rice sacks. In doing so we’d managed to confound the system of predefined descriptive categories for lost luggage. Were they backpacks? Laundry bags? Duffel bags? One red bag and one purple bag, or two brown bags? After a few days, with a change of clothes on our backs, we finally began to relax and enjoy the city. Much like Cape Town after Tibet and Istanbul after Africa, Buenos Aires marked a welcome hiatus from the road after three weeks on the move in India. We rented an apartment and settled into a comfortable routine. 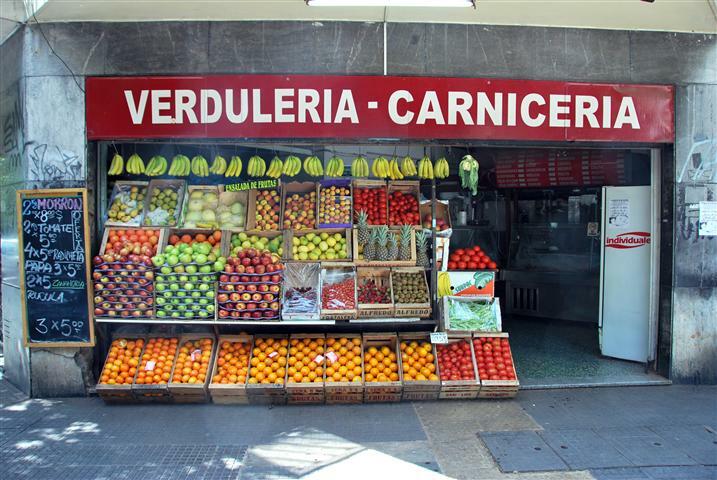 We bought groceries from corner markets and fruit from the many well stocked produce stands, packing lunches before venturing out to explore each day. 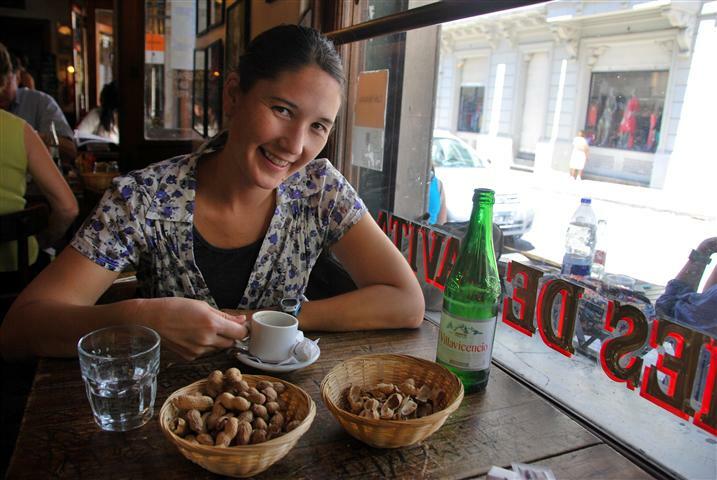 We quickly developed a taste for Argentine coffee, water with gas and freshly baked bread. It was surprisingly easy to adapt to the Argentine meal schedule, where restaurants don’t open for dinner until 8, are empty until 9, and don’t really start humming until after 10. More than once we didn’t finish eating until nearly midnight, and even then many tables were still filled with families finishing their massive platters of grilled red meat and emptying their last bottle of wine. After a week, and just about the time the airline called to inform us our luggage had materialized, we practically felt like locals. We found a favorite restaurant, Parilla Pena, which served the most incredibly delicious steaks I’ve ever had the pleasure of tasting. In our Spanish class we made friends with two fellow travelers from San Francisco who we’d meet again several more times during our travels through Argentina. We saved many of the traditional tourist sites for our second week in the city, when Allison’s mom, Pat, joined us from Wisconsin. Her visit got off to a rocky start with an overnight delay in Atlanta and a pickpocket attempt on the subway but we quickly established a rhythm that worked well for the three of us. 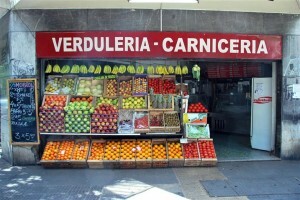 Two of the highlights from her week in Buenos Aires were a walking tour and a day trip out of the city to nearby Tigre. During the walking tour we saw several famous Buenos Aires landmarks, including the Casa Rosada (Pink House) where in 1945 Eva Peron made her speech to several hundred thousand people protesting the arrest of her future husband and president of Argentina, Juan Peron. Our visit to nearby Tigre, situated on the edge of the Parana Delta, was a welcome change from the crowds and noise of Buenos Aires. The Parana Delta is one of the world’s largest inland deltas and is home to thousands of islands. There are no roads on the islands and residents must go to and from their homes by boat. 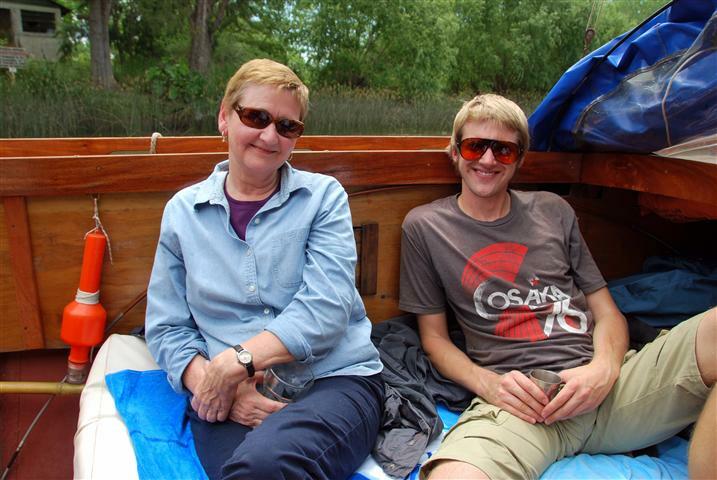 We spent the day on a small boat, cruising the calm waters of the Delta. Our hosts were a knowledgeable Argentine/Swiss couple with backgrounds in tourism and cooking. As we enjoyed the tasty meal they prepared for us they described life on the Delta. Our relaxing trip to the Tigre was the perfect ending to Pat’s week-long visit. Once we said good-bye to Pat, we began preparing for the next phase of our trip. Three weeks after arriving in Argentina we reluctantly packed our bags and bought tickets for a northbound bus to Iguazu Falls. 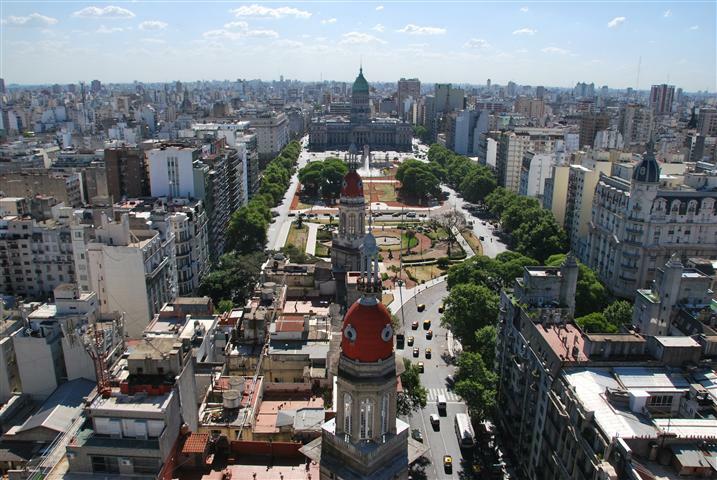 Just like in Cape Town and Istanbul we’d grown comfortable in Buenos Aires, but the temptation to stay longer was overpowered by the hunger for more adventures on the open road.